Port Macquarie is a town in the local government area of Port Macquarie-Hastings. It is located on the Mid North Coast of New South Wales, Australia, about 390 km (242 mi) north of Sydney, and 570 km (354 mi) south of Brisbane. The town is located on the coast, at the mouth of the Hastings River, and at the eastern end of the Oxley Highway (B56). The town with its suburbs had a population of 41,491 in 2011, while the population of the local government area was 72,696. Port Macquarie is a very popular holiday destination on the Mid North Coast, about 4.5 hours drive north of Sydney. We have stayed at the Sundowner Breakwall Caravan Park on several occasions and find this a perfect location for walks along the foreshore and into the centre of town. This caravan park is located on the banks of the Hastings River estuary - a very busy place during the school holidays. There are quite a few restaurants, clubs and cafes in town - some fabulous fish and chip shops selling local, fresh seafood. The coastline of Port Macquarie consists of rocky headlands and lovely beaches - you can even see whales migrating at certain times of the year. Sea Acres Rainforest Centre should be on your list of places to visit - see displays on local Aboriginal culture, the surrounding rainforest environment etc. before heading out onto the Rainforest boardwalk - a beautiful place. Another interesting place to visit in Port Macquarie is the Koala Hospital. Port Macquarie is home to many koalas and the hospital treats the injured or sick animals from around the area. There is so much to see in around Port Macquarie and all sorts of adventures are just a short distance from town. Hope you enjoy it as much as we do. have you been to Port Macquarie? 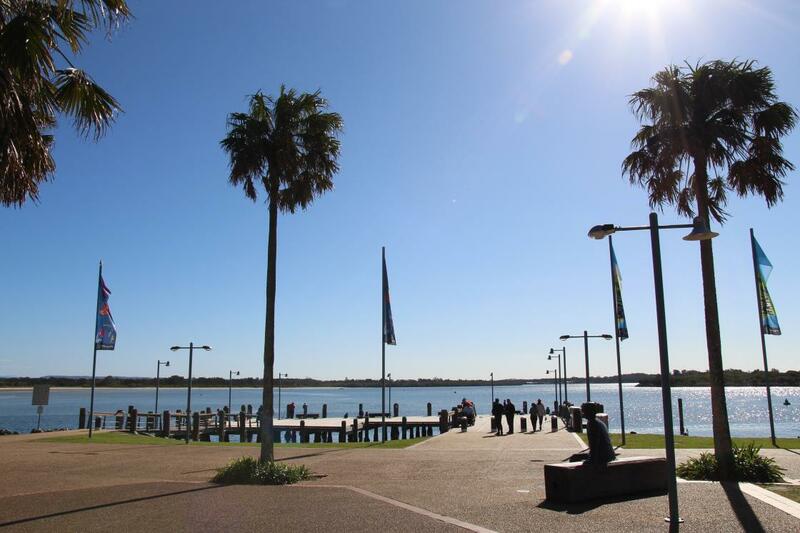 Port Macquarie is a beautiful coastal town, with a great waterway. The board walk along the waterfront and out along the break wall is a must, this is a good place for a spot of fishing also. There are some nice cafes and restaurants along this walk if you need a refreshment. Port Macquarie has some great surfing beaches with a nice, relaxed vibe. Well worth a visit. Port Macquarie NSW - comments & tips by RvTripsRvTripsPort Macquarie is a beautiful coastal town, with a great waterway. The board walk along the waterfront and out along the break wall is a must, this is a good place for a spot of fishing also. There are some nice cafes and restaurants along this walk if you need a refreshment. Port Macquarie has some great surfing beaches with a nice, relaxed vibe. Well worth a visit. Explore Port Macquarie with RvTrips and find out where to stay, what to do and what to see. Helping caravan, motorhome and camper owners have a great holiday.